You know how something seemingly simple can bother you to no end. This was that simple thing. 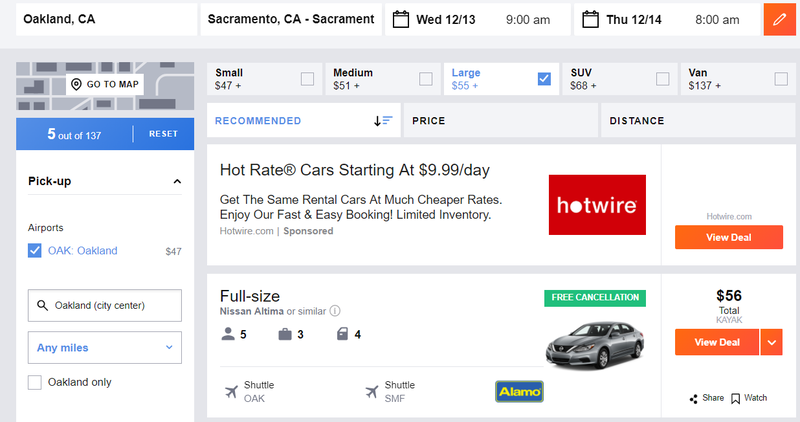 For the longest time you could not use your Chase Ultimate rewards to book a rental car one-way. You can redeem your Ultimate Rewards, earned from cards like the Sapphire Preferred, Reserve and Ink, as ‘travel cash’ in the Chase travel portal. If you have the Chase Sapphire Preferred, UR are redeemed at 1.25 cents a piece. If you hold the flashy Reserve card, those same UR points will yield 1.5 cpp on travel. Now, there are certainly better uses for Chase Ultimate Rewards, but sometimes you just need to redeem points, and that is okay. 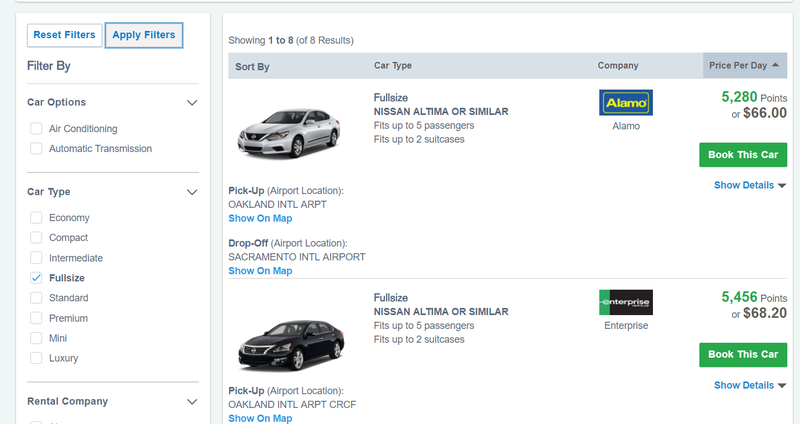 The one silver lining is that with some rental car companies you will still earn rewards and receive your elite perks even when booking through Chase. When I book Hertz through Chase’s travel portal, I earn Hertz points for future free rentals AND I get my VIP treatment thanks to my President’s Circle status. If you plan on redeeming a large number of Ultimate Rewards through the travel portal, I highly recommend getting the Chase Sapphire Reserve which redeems at 1.5 cents per point. That means a $150 car rental will only require the redemption of 10,000 UR points. If you only transfer points to partners and you won’t benefit from the Priority Pass Select membership, it may not make sense to pay the annual fee of the Reserve. By the way, all three cards mentioned carry primary rental car insurance, though the Chase Ink is to be only used for ‘business‘ purposes when claiming this benefit. 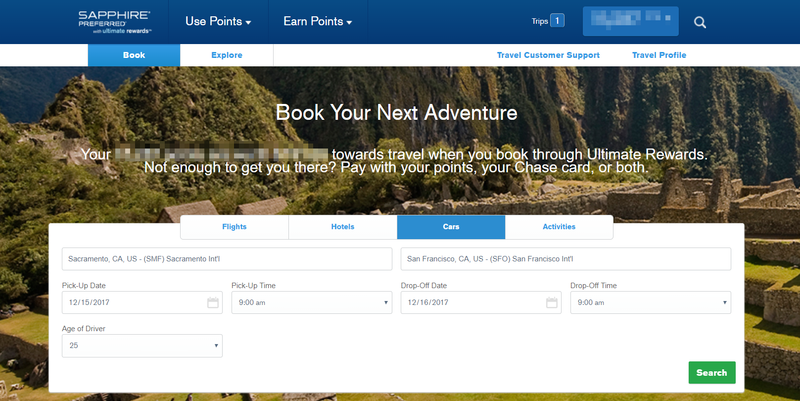 In this instance, I wouldn’t redeem Chase UR points since there is a better rate outside of the travel portal. Typically if it is within a few bucks I will go with whatever is convenient. Alyssa carries the Reserve card so when I am ready to book I will combine my points and redeem at 1.5 cents per piece. With our crazy travel itineraries, like flying around the world TWICE this year, we will certainly utilize this new option through Chase. Sometimes it is fun to rent a car for a one-way road trip and then fly yourself home. It allows you to spend more time seeing new things on the road and maybe a few hours of rest on the flight home.